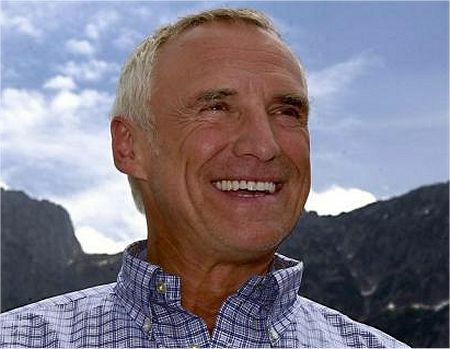 Dietrich Mateschitz seems to be the man of the moment in F1. Not only is he talking a good deal of sense, as in his statement that the teams should own the sport, but he runs a business that is robust enough to have taken the economic downturn in its stride. Red Bull growth has slowed, it's true, but it is still growing. He speaks from a position of strength, therefore, and Max Mosley would do better to listen to what he says, rather than attempt a rebuttal with his spurious analogy to a restaurant. In F1, the customers are the fans, not the teams - Max may be the head chef but the teams are his assistants. As the one who takes the biggest profits, CVC Holdings would be the owner and Bernie Ecclestone the heavy sent down to collect the rent. The argument is really about the distribution of profits and it is a continuation of the opening shots in a war begun by Luca Montezemolo in his capacity as president of FOTA. In talking of a takeover bid, however, Mateschitz has increased the stakes considerably. He is talking of a consortium of teams buying CVC's rights in the sport, effectively increasing the teams' share of the profits. Although it is difficult to see the teams agreeing on such a scheme and then finding the money to pay for it, the result would go a long way towards answering one of Bernie's greatest fears - that the manufacturer teams are not committed to the sport and can leave whenever they please. If their involvement was paying for itself, it would be far easier to justify to the board. Free brand promotion is not something to be thrown away, regardless of the economic climate. I am not convinced that manufacturer participation is entirely good for F1; they do have a tendency to view it as a convenient testing arena for their production engineering departments, for instance. But there is no doubt that the sport is heavily dependent upon them at the moment and will be for the next few years, at least. If a greater share of the profits can ensure their continued presence, Max and Bernie would do well to allow it. Bernie has a problem, of course, in that he is CVC's chosen representative in F1 and must see to their interests therefore. He has to adopt an immovable position on the present financial arrangements until CVC are ready to sell their rights. That time will come but not for a few years yet. All the parties know that the real battle lies in the future and all these statements are preparation of the ground only. It will be interesting to see whether Mateschitz can get some sort of joint bid together in the interim. The customers, you and I, can do little in the meantime but watch the developing war and hope that it all turns out for the best of the sport. That is something rarely considered by the protagonists, although Mateschitz's mention of "passion" does show that he is concerned with more than financial gain. Certainly, there is no passion for anything but money on the other side and that would indicate where our sympathies should lie. It makes sense that those with the greatest investment of money, expertise and effort should also benefit most from any profits made. actually, Max was actually right in suggesting the teams could just set up a rival series and FIA would be compelled to sanction it as a motorsport. CVC paid 2billion for the F1 name. They didn't buy contracts with the teams, the tracks or anything else. Only the rights to the FIA sponsored F1 series. Thus if all the same teams participate in an FIA sponsored series that is not F1, CVC are left with a 2billion empty shell. Pretty solvent by these days standards I know. The teams and manufacturers are unlikely to buy anything from CVC - it would be an expensive two letters, and persuading the teams and manufacturers to part with such sums in this economic climate for these reasons is highly unlikely. Under the Concorde Agreement, the teams have to participate in F1 or else pay a fine to the FIA. It does not preclude them from being in another series as well. However, they can't leave F1 until a replacement Concorde Agreement is in force (or at the very least all parties to the Agreement agree to use an equivalent). This is because the 1998-2007 Concorde Agreement has a clause to that effect in it, precisely to protect everyone in the disputed situation we have at present. Indeed, it is only because of that agreement that the FIA has the level of power it does over F1 - otherwise there would be no obligation on the part of the teams to pay the slightest bit of attention to any penalties etc. that the FIA issued! For all that the FIA have been pretending that the clause doesn't exist, I'm sure they would suddenly remember if the opportunity to fine lots of teams lots of money arose. Especially with the financial gap the FIA appears to have. As a result, the teams can't get out of it by simply moving to another FIA-sanctioned series. They can only hope that the FIA sends CVC packing - but the FIA can't do that because they only have the right to approve or disapprove new buyers. The FIA missed its chance in 2006 and is now paying the price. Is the size of fine set by the previous agreement? I have no idea whether the Concorde Agreement specifies the fine or not. Given the way the FIA have a deficit despite €100m of non-foreseeable revenue, I'd say it was safer if an amount was specified than not. The biggest problem with the Concorde Agreement is that full details were never published (it's considered a sensitive commercial document). However, bits of it were either leaked out or sensibly inferred. In the case of the Concorde Agreement surviving its theoretical expiry date in the absence of a negotiated replacement agreement, it was grandprix.com that inferred the Concorde Agreement's survival from a reference in the Technical Regulations. The main purpose of Concorde is to bring teams, Bernie and the FIA together, which is why there will definitely be a fine for a team leaving while the Agreement is in force. Duly inspired by this piece, I've done some corrective work on the analogy itself as it pertains to F1 in my blog. Whether the Concorde Agreement is still in force is a debatable issue. The teams consider it still valid since there has been no replacement for it since its expiry, the FIA say that it no longer has any effect, having expired. It seems to me that the question hinges very much on who wants what at any given moment - the agreement is ignored when inconvenient but waved frantically when it happens to support anyone's opinion. Before any fine could be levied and payment enforced under it, the courts would have to rule on its validity and that could take a long time. I would guess that, if the will and unity were present, the teams could set up a rival series and then ignore the wrath of the FIA. They don't really want to do that, however, and prefer to work with the FIA as long as it remains possible. Wonderful post, Alianora - you have really taken the restaurant analogy to pieces and made me hungry in the process! The courts wouldn't have to rule on the validity of Concorde unless the team(s) being fined objected to the FIA Court of Appeal. Otherwise the FIA court could handle the entire matter. But since opposition from the teams on this specific point can be assumed, it is by no means guaranteed that the FIA would be able to keep the money. The lack of any replacement agreement would probably go in the FIA's favour, combined with the fact that all parties have continued anyway. But by the time the FIA won such a case (which cannot be guaranteed, ironically enough because of the FIA's insistence on ignoring the Agreement's provisions regarding rule changes), it could well be that the rival series had enough in the bank to pay the fine without more than a moan.